This is an awesome template that fits perfectly into any photography site. It is a cross-browser compatible, ultra responsive template that is highly optimized for search engines. You can explore its limitless possibilities to create the most modern website with an absolutely stunning look. 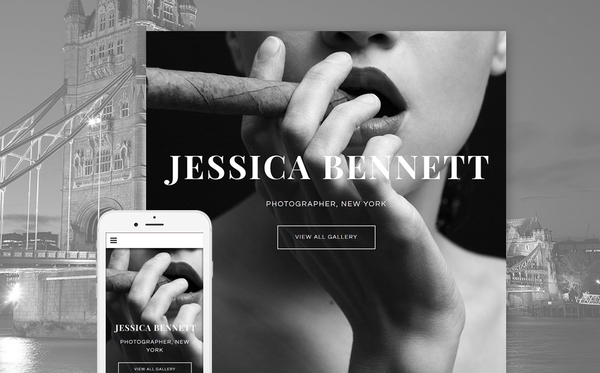 The layout against the black and white color can give your site a very classy touch. 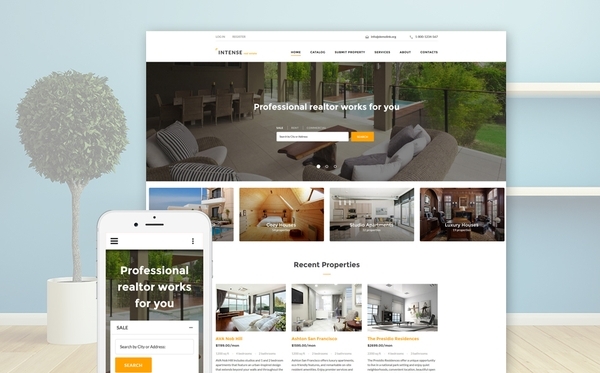 Use this template to showcase your property with style. You can craft out a grand looking site using its brilliant layout and well-organized pages. You can enhance your background with the parallax scrolling images adding a 2D illusion to the layout. 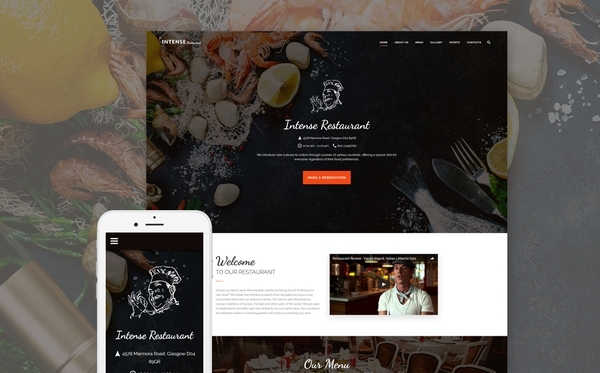 This template is ideal for sites relating to restaurants, cafe, bars, pubs and so on. It’s bold and bright layout can blend flawlessly with the images of your appetizing food to give it the most impeccable look. You can also make a fanciful display of your menu, card based photo gallery, list your upcoming events, place a reservation form and do all that makes an amazing restaurant site. 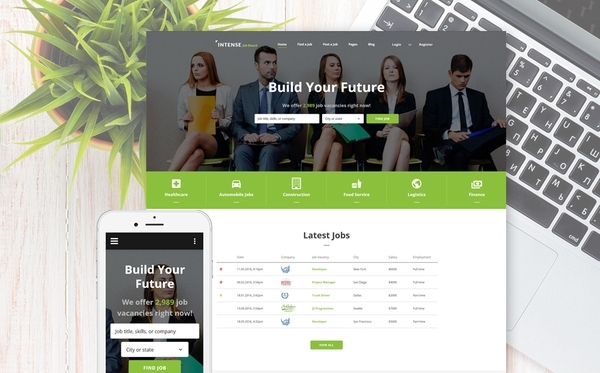 Create the most professional and modern looking job portal with the Employment Responsive Web Template. Its search form at the header makes it easier for your visitors to search for their desired jobs. You can also allow your users to filter their search as per their requirements. The template offers you the option to add a testimonial as well. 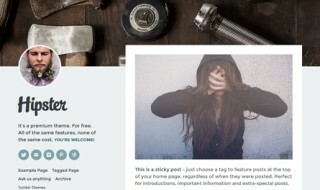 This is a perfect solution if you are looking for a template for your personal blog. 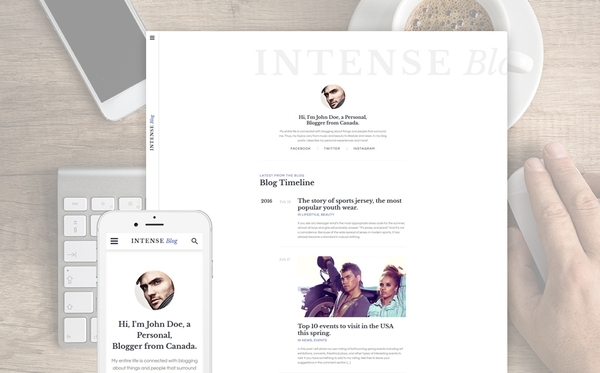 The developers have very thoughtfully designed it with a minimal and modern design that can give your blog a simple yet elegant look. It’s beautifully coded layout has a lot of white space in it, that automatically draws the attention of the readers to the content without any distraction. 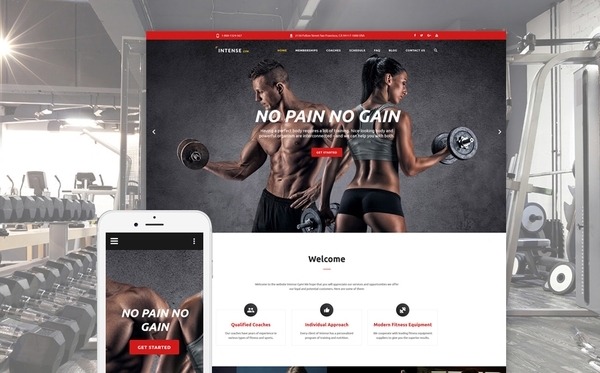 Gym Equipment is the best template for a powerful and energetic looking gym site. 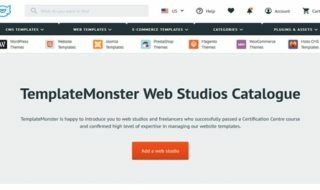 The combination of red and black can give your site a unique look. You can add the modern parallax effect to make it more striking. 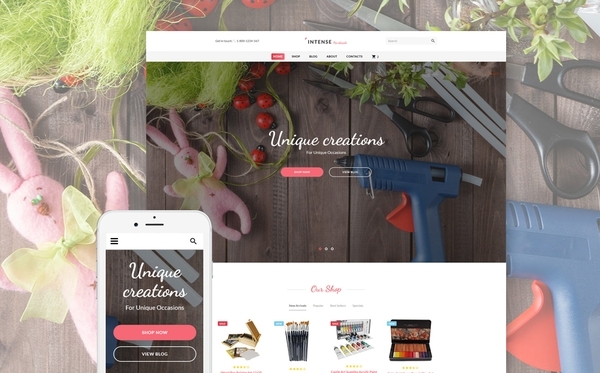 This is a super cute looking template designed especially for sites with handicraft supplies or anything related to art and craft in general. The theme is cross browser compatible and is ultra responsive to different forms of devices. So it looks equally stunning on all platforms. 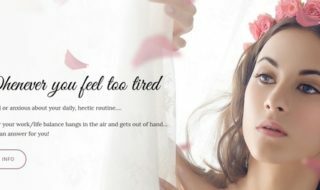 The graphics of the theme is revived by parallax effect. 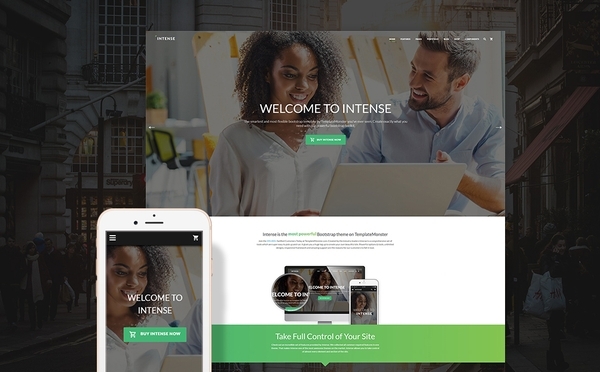 This is yet another member of the Intense family that is designed especially for family sites. 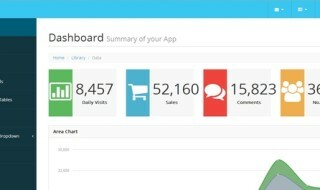 The theme is very neatly coded to make it the perfect one for the convenience of web designers and web owners. 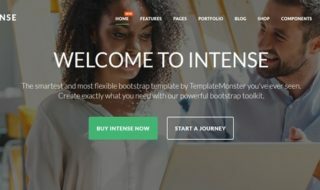 So if you are looking for a theme for your family or children related site, this template can be a great option. 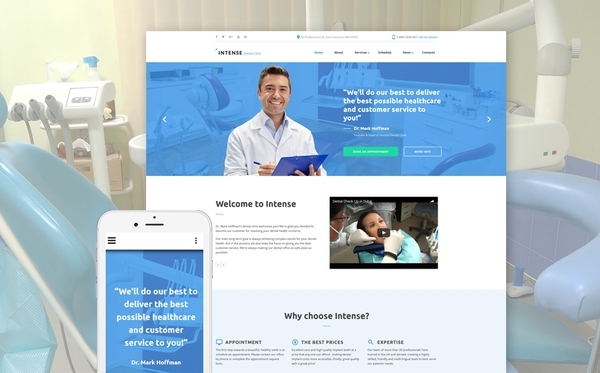 Dentist Site Template is another fantastic part of the Intense Multipurpose Template that suits any kind of medical business site, especially dental sites. Packed with all major features this template is one of the best choices to bring your medical business online. 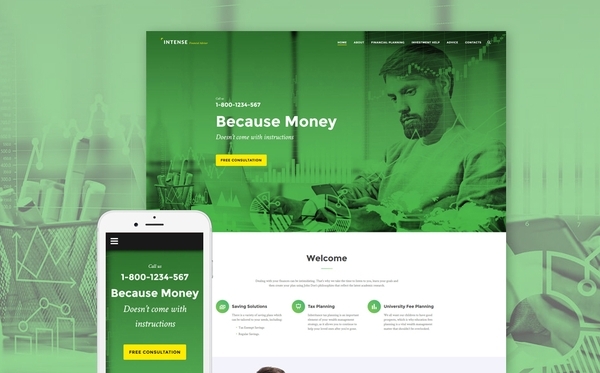 The 10th and the final child theme of the Intense Multipurpose Template are the Financial Consultant Website Template. 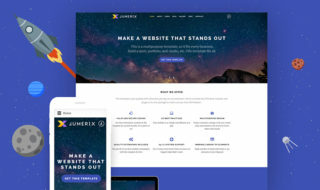 Built with plenty of buttons, contact forms, circular progress bars and other UI elements, this template is intended to boost your conversion rate online. This one too like the others is highly responsive and greatly customizable. You can use this template to create a professional looking Financial Consultant Site.